National Leader, All Progressives Congress, Asiwaju Bola Tinubu, has urged the mammoth crowd and party supporters at the Ilorin rally to liberate Kwara from the clutches of Bukola Saraki, in the forthcoming general elections. 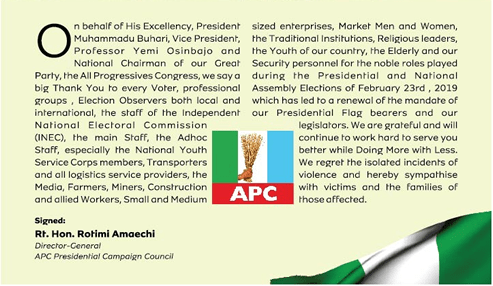 The News Agency of Nigeria reports that the rally was attended by President Muhammadu Buhari, who led other APC stalwarts including, Chief Bisi Akande, Abdullahi Adamu, the Party National Chairman, Adams Oshiomhole and others to the gathering. He said: “Who is doing this? It is Bukola Saraki. We are here today to demand for freedom and liberation of the state.